Cash Out Refinancing: The Right Move For Your Investment? Cash out refinances have been given a bad rap over the years. Many proposed the idea of a cash out refinance to grow their business, pay off debt or increase property value. However, many homeowners used cash out refinances to pay for vacations, or other items with little to no return. This lead to a reduction in equity that would have come in handy for many homeowners during the recession. Cash out refinancing loans became extremely difficult to get, especially for investors. With the market turning and equity increasing, these loans are making a comeback. Many investors are looking at their portfolio to see what options they have available. A cash out refinance loan can still be difficult, but with the right criteria, it may be just what your business needs. After the market collapsed, most lenders stopped giving out investment loans. These hold a higher risk factor than primary residence loans. If things go bad, an investor will stop paying on their investment property before their primary residence. The loans that were available were difficult to get and the rates were sky high. Even though the market has rebounded, lenders still want to protect themselves. The first thing that is needed if you want to pull cash out is an excellent credit score. If you were buying a property, you could get away with an average score of around 620. Investment loans are held to a higher set of criteria and need at least a 700 score, with most lenders requiring a 720. Even if you have equity in your property, you need to have an acceptable score. One late payment on a credit card you don’t even know about can make all the difference. Before you go any further, find out what your score is – and why it is that way. A strong credit score is necessary, but only if you have equity. Depending on your market, property values may be up quite a bit with the recent rate of appreciation. The benchmark for investment loans is 70-75% of the property value. This value will be determined by the lender’s appraiser. The value you think you have may not be the case. Appraisers will look at what has sold in the last 60 days and what is on the market. You may have spent money and put work into the property, but that doesn’t mean the value has gone up. Ask your realtor to pull some comparables to give you an idea of where you stand. If the value is there, you may be able to pull cash out. There are many guidelines with regards to taking cash out of flip properties. The most important is the time off the market. 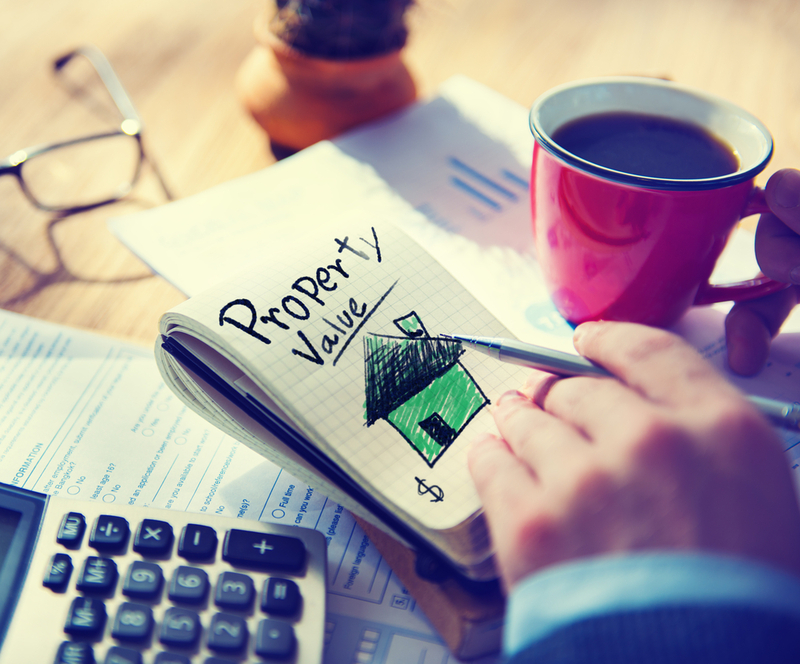 Putting work into the property and adding value may not be enough to do a loan. Many lenders have strict restrictions on how long it has to be off the market. Some lenders will need you to wait 90 days, some six months and others one year. The general rule of thumb is six months – from the time you purchase the property – if you want to use the new appraised value. If your plan is to buy the property, fix it up and pull cash out in thirty days, you may want to think this over. Lenders are always coming out with new programs and guidelines so you should ask your lender to stay in contact with you. You may need to wait before you can get the loan you want. With any flip, it is important that you document the improvements. If you buy a foreclosure and wait six months, some lenders will not allow a dramatic increase in value. It is important to keep all receipts and take before and after photos along the way. If you are going to take cash out, you should want to get the maximum value. Another potential hurdle is the amount of cash out lenders will allow. Everything else may be in place, but there could be a limit on what they permit you to walk with at closing. You can also run into an issue if you have too many properties. Most lenders will only allow ten mortgages on your credit report. This number includes any second mortgages you have on your properties as well. There is a lot that goes into a cash out refinance loan. Before you get too involved, you should talk to your lender. Mortgage brokers usually offer more investment loan options because they work with more banks. That being said, your local bank may have an option that they do not. If you do fit the guidelines, you should be prepared for a long process. There is a lot of paperwork that you will need to provide that may seem unnecessary at times. If you haven’t refinanced in a while, you may be annoyed with the process. Things can get frustrating, but remember why you are taking the cash out in the first place. Before you close, you need to have a plan in place with what you are going to do with the money. Getting approved and going through the process is only worth it if you spend the money wisely. The idea is to use the money to help fund future purchases and grow your business. Look at your portfolio and see which properties you may be able to work with. If you have a strong credit score and equity in your property, a cash out refinance loan is possible.